David Shaw is an XBRL Project Manager at the Financial Accounting Standards Board (FASB). In that role, David is a member of the team that is responsible for updating the US GAAP Financial Reporting Taxonomy for new accounting pronouncements, common reporting practices and for ongoing taxonomy architectural developments. 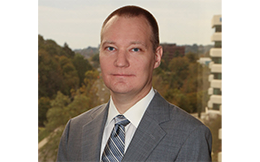 Before joining the FASB, David was a senior associate at Alvarez & Marsal Forensic & Dispute Services where he was assisted in fraud investigations, post-closing purchase price disputes securities litigation and other litigation matters. David has provided accounting, auditing and consulting services to clients across a wide range of industries. David holds a Masters of Accountancy from Colorado State University.